Hello, everyone! 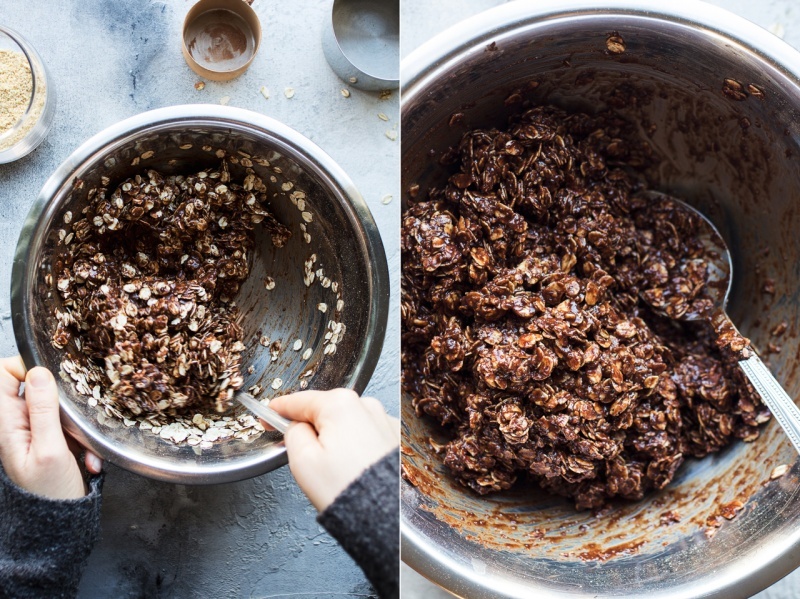 Excuse me, but my brain is still in a bit of a post-holiday fog, so I figured I will start off with a simple recipe to sweeten your (and my) week a little. If you find it hard to go cold turkey (what a funny expression that!) when it comes to sweet treats this January, I am rushing to your rescue 😛 . You can ALWAYS count on me when it comes to baked goods. I always find an excuse to tinker when some form of sugar is involved. 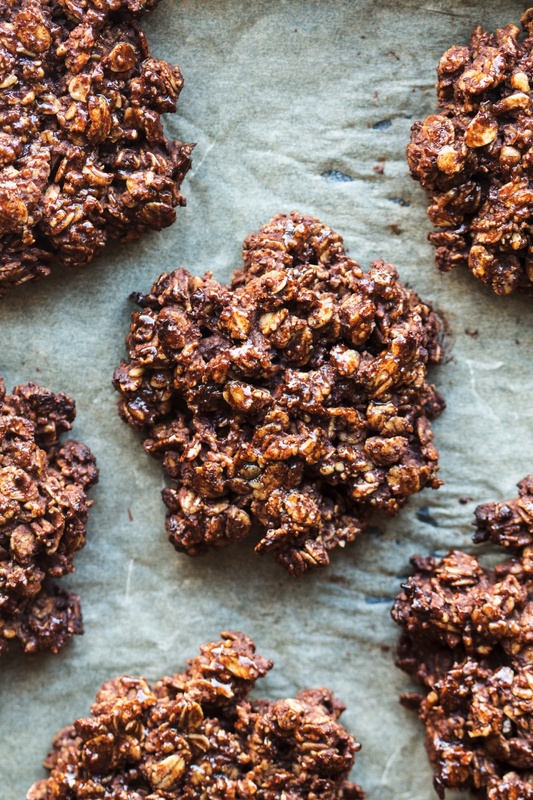 These 5 ingredient vegan oat cookies are as good for you as cookies can be. They are a great in a cookie emergency as they come together really quickly – there is no need to refrigerate the dough. I like to think of them as portable porridge 😉 – perfect to stick in your pocket or grab for an upcoming flight. They are also stupidly easy and quick to make too. 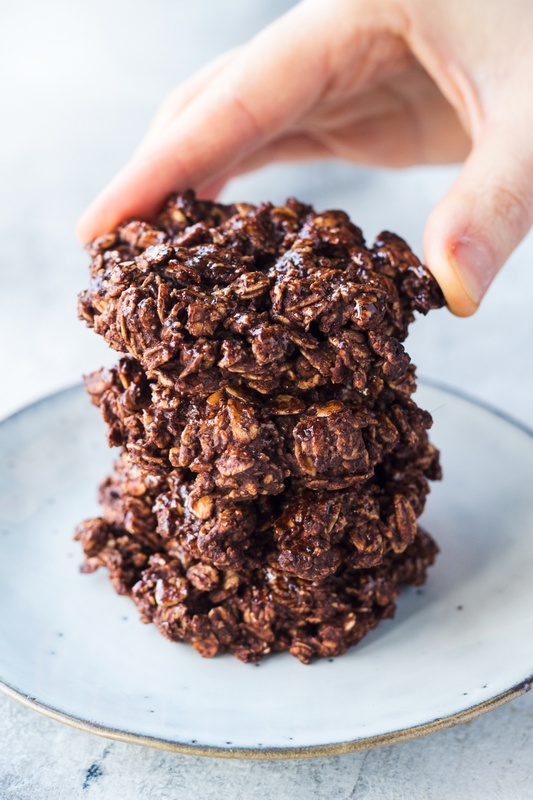 If you have any kids around who are keen on baking, you can totally entrust them with making these, provided you measure out the ingredients for them. I made countless versions of these over the past few weeks, but my favourite one is this hazelnut and chocolate combo. It’s a nostalgic flavour pairing for me that always gets me excited.. Delicious. They are beautifully crispy, a touch chewy inside and delectably moreish – sorry, not sorry… I hope they will get you through what’s left of January and then we can get back to naughtier desserts come February. On a separate note, if you live anywhere near the Cotswolds (UK), Duncan and myself will be talking about this very blog at the upcoming Vegan Fest in Stroud, on Saturday at 10:30. Swing by if you live locally! 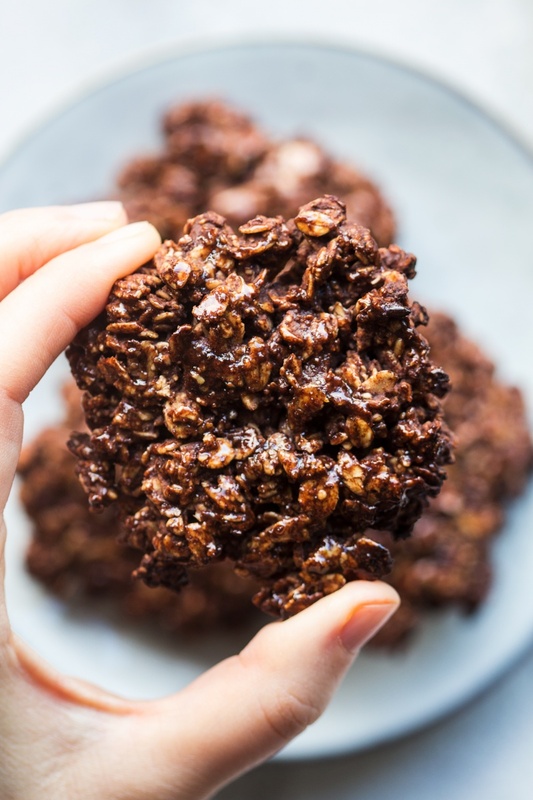 PS: If you make my 5 ingredient vegan oat cookies, don’t forget to tag me on Instagram as @lazycatkitchen and use the #lazycatkitchen hashtag. I love seeing your takes on my recipes! Preheat the oven to 180° C / 355° F and line a large baking tray with a piece of baking paper. Add 2 tbsp of water to the ground up flax seed and set aside in the fridge for 5 minutes. Mix maple syrup and nut butter really well. 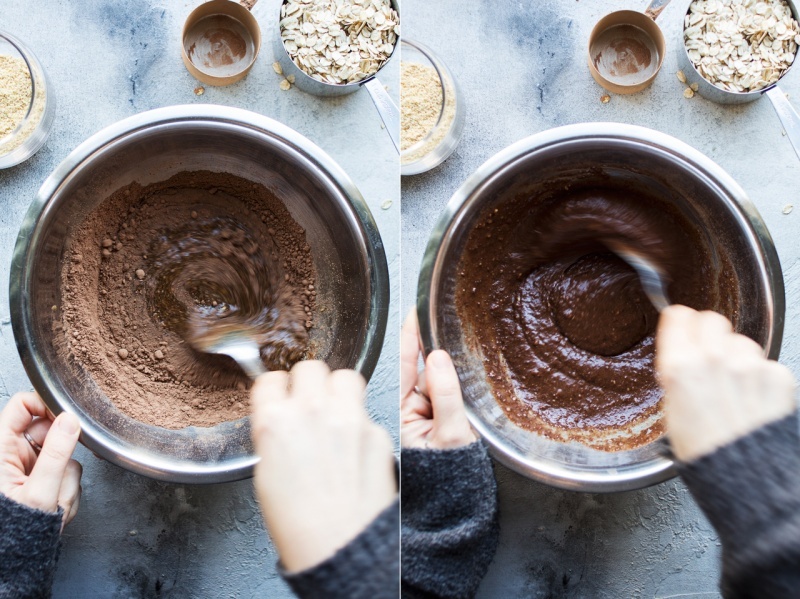 For best results use a 100% nut butter (without stabilisers and additives), but make sure the oil that sometimes separates on the surface is well mixed in before measuring it out. Next, add in rehydrated flax seeds and cacao powder. Mix really well. Finally, mix in oats and salt (if using). Stir the mixture for a bit so that all the oats are well coated in the sweet mixture. Place slightly compressed mounds of the cookie mixture onto the prepared baking tray, leaving a little bit of space around each cookie. Bake for about 15 minutes. Remove from the oven and let the cookies cool down before transferring them to a plate / cooling rack – they are fragile while hot. Store in an airtight container. 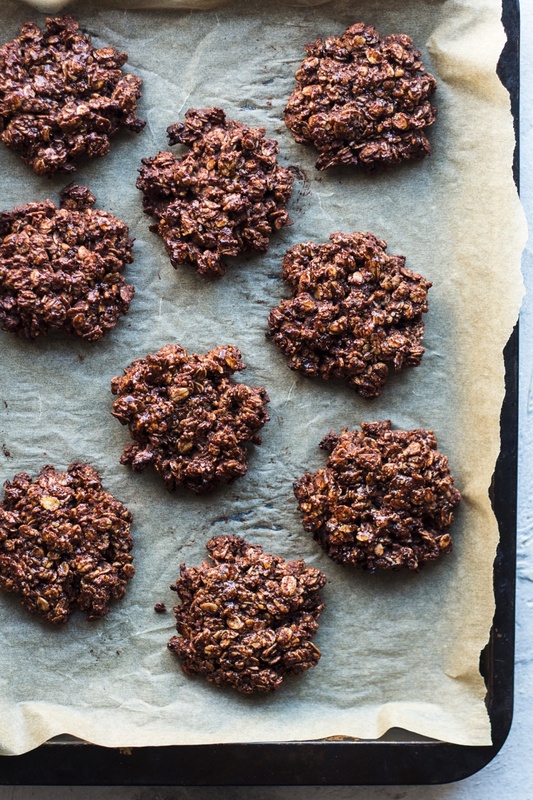 These cookies are based on previous recipes of mine: for this chocolate hazelnut recipe and my oil-free granola recipe.